GT Sport FIA Schedule Hints at New Track — But What Could It Be? 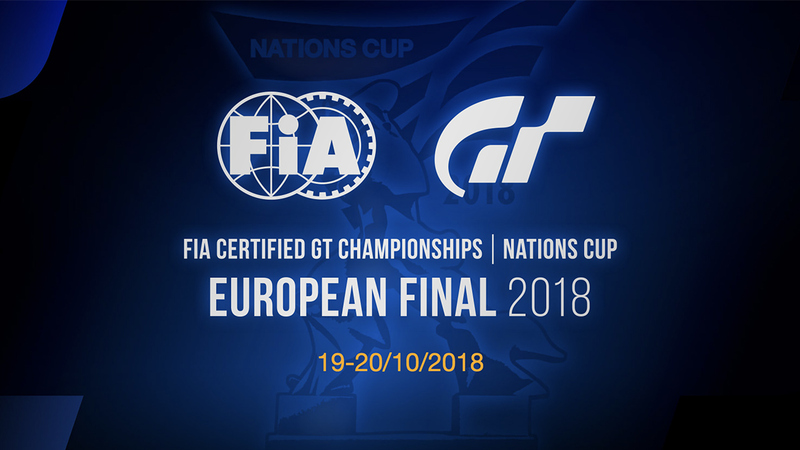 Discussion in 'Gran Turismo Sport' started by GTPNewsWire, Oct 16, 2018. This article was published by Kyle Patrick (@SlipZtrEm) on October 16th, 2018 in the Gran Turismo Sport category. ProjectF, IngRobNy, Dezcom and 2 others like this. Volksauto, ProjectF, ScotteDawg and 23 others like this. ProjectF, letsdothis97, AgentBlackDog and 3 others like this. Volksauto, letsdothis97, james h and 5 others like this. letsdothis97, Manasseh257NSX, AgentBlackDog and 3 others like this. ProjectF, TheNuvolari, Tired Tyres and 13 others like this. jaytmtb, ProjectF, letsdothis97 and 13 others like this. Knockhill? Oulton Park? Ah well, one can wish. TheSlowGuy, letsdothis97, YoBuck and 1 other person like this. Would be interesting if there is rain on this mysterious circuit. ProjectF, ScotteDawg, Pedinhuh and 5 others like this. jaytmtb, ProjectF, wagnerFAM98 and 8 others like this. ProjectF, letsdothis97, KayX23 and 3 others like this. godzella48, AgentBlackDog and TheGeologist like this. Not with X2014 Red Bull cars. It has to be a "proper" real circuit or a wide "fantasy" PD track. ProjectF, KayX23, GT6mebe and 5 others like this. ProjectF, Pedinhuh, KayX23 and 3 others like this. Almost forgot, Circuit Ascari from GT6. Following the pattern that PD has done up to this point of carrying over real tracks from previous titles. ProjectF, Pedinhuh, poumpoum and 4 others like this. I am 100% sure it will not be Spa! ProjectF and tuyang like this. ProjectF, perja55, AgentBlackDog and 3 others like this. ProjectF, Dave Beerman, AgentBlackDog and 4 others like this. Speaking of some of the classic GT1 tracks (Deep Forest, Trial Mountain, Grand Valley, etc. ), were there ever any theories as to the real world locations these tracks may have been based? I know they're fantasy tracks, but I've always wondered if there was a particular locale they had in mind when designing them or if there was a specific source of inspiration. jaytmtb, ProjectF, ScotteDawg and 6 others like this. I would love nothing more than my favourite track from GT6, Ascari, to return. Doubt it with those cars though. I feel like Motegi has to return at some point since you know PD will be bringing back all of the Japanese tracks. Silverstone also seems like a possibility with those cars. Catalunya is a wild card. Am I the only the only one hoping for a brand new track? acedition333, Razamataz, sirjim73 and 1 other person like this. ScotteDawg and Animedeaf like this. I’m trying to think what the most iconic GT original track is? Would be nice for the 1 year anniversary. Grand Valley, Trial Mountain and Midfield immediately spring to mind or maybe Tokyo R246; doesn’t that track go past PD’s or sony’s headquarters?. I’d like to see any of those or a new real world track like Catalunya would be nice. Thruxton for sure. Based on absolutely nothing. acedition333, SDSPOWER01, Rizla and 4 others like this. ProjectF, Sparkz_360, Pedinhuh and 3 others like this. It's time to make Red Rock Valley Speedway shine again. ScotteDawg, Sparkz_360, nowcontrol and 5 others like this. ProjectF, Draggon and sirjim73 like this. Finally, Midfield Raceway is coming. letsdothis97, KayX23, wagnerFAM98 and 4 others like this.